[Opinion] What's The Deal With K-Netizens? Home OPINION What’s The Deal With K-Netizens? [Opinion] What’s The Deal With K-Netizens? Love them, hate them, compliment them, insult them — the relationship that the international K-pop community has with K-netizens is complicated. Translations and translators have played a significant role in the global rise and consumption of K-Pop. The reason is simple, K-pop – music, shows, film, etc. — is produced, marketed, and distributed mainly in Korean. While some companies and individuals involved in the industry have taken it upon themselves to translate some information into English (the current universal language), this is still an emerging trend. Moreover, while talent, skill, and other appealing factors have contributed to the overarching popularity of Korean popular culture, translators and their translations have been the gatekeepers and unpaid global distributors for years. As gatekeepers, translators have not only given international K-pop fans a means to understand and participate with varied content including songs, video and print interviews, shows, and social media, but they have also effectively ignited interest and passion in Korean culture. It is for this reason — the desire to peer or glean intimate information about Korean culture — that translation sites that focus not on celebrities, but on the words of Korean internet users — better known as “K-netizens” or “netizens,” have become so large. Translation sources for K-netizens are huge on social media. Accounts like Netizenbuzz, Pannatic, and Pannchoa, who pull from online communities sites like Nate (pann) and Instiz, have garnered a vast following; all three combined have almost 250,000 followers on Twitter alone. The question here is why are international K-pop fans interested in these translations. Sure, there is a possibility to glean some cultural nuances, but reading vetted books, articles, or speaking to people familiar with with the culture are equally if not more elucidating. So why? 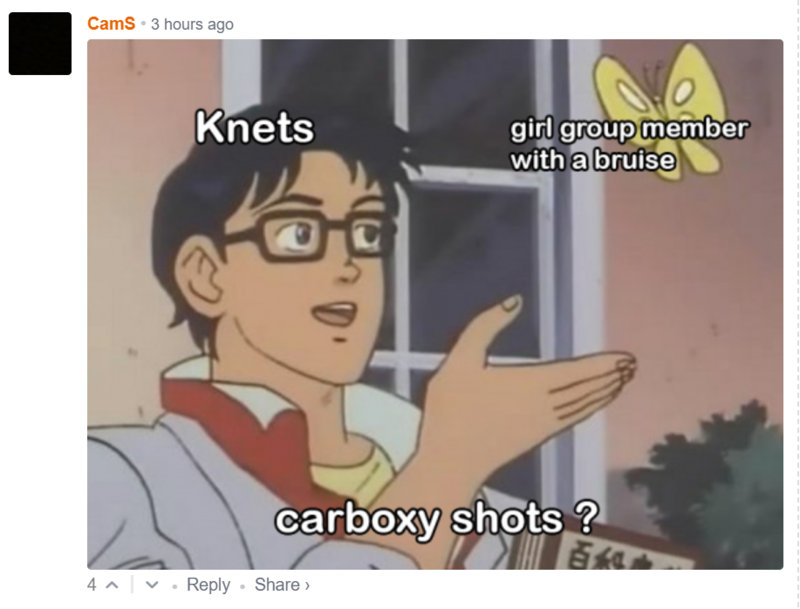 Interestingly, looking over the comments section on these sites it seems that K-netizens occupy a unique role in the K-pop community and fandoms. They are revered and idolized yet scorned at the same time. K-netizens have a different level of access and potential for interaction with K-pop idols and actors. They live in Korea, can speak and understand Korean, and have access to all media content — print or digital — in which stars participate. Additionally, as residents of Korea, they have a higher chance to attend fan meets, concerts, promotional events, and more should they have the resource or desire to do so. Taking all of this into consideration, K-netizens are idolized as “agents on the ground” with information and possible experiences that give them step-up on international fans. Additionally, and possibly more important, by reading their comments and reaction to different current trends or day-to-day concerns, it provides some with what can be considered access to assess broader social-cultural perspectives and understandings in South Korea. K-netizens’ social-cultural perspectives and understandings are particularly important for supporters of certain artists who look to these online comments for validation. Whether it is about their looks, singing, acting, or dancing if there are positive responses it is perceived that these stars are truly being recognized and acknowledged where many fans feel is the most important: Korea. Here is another response to a post praising BLACKPINK’s Rosé’s body. 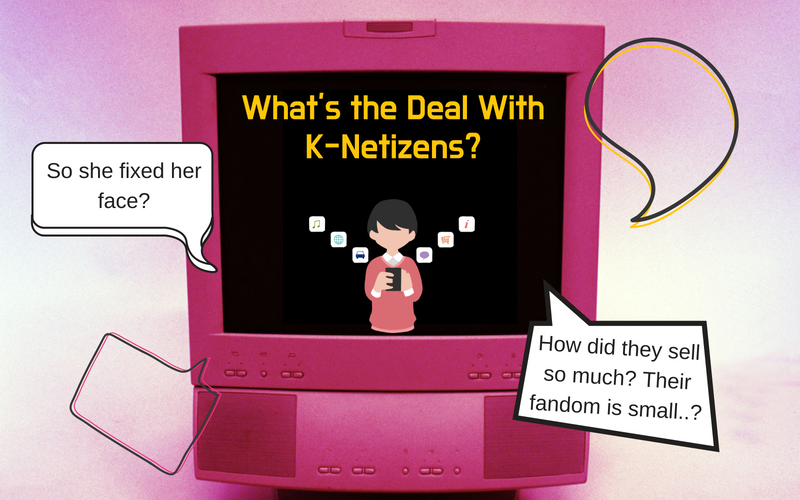 The K-netizens’ posts and comments are an avenue for fans to praise their favorite artists. With K-netizens acknowledging or mentioning these celebrities is a kind of validation, they are recognized and praised in Korea by “on-the-ground” agents. Conversely, when these posts do not align with fans some express anger while others insult the K-netizens. do y’all really think that they don’t have international fanbases? 😂 their average unique listeners in MelOn is more than 900K+ in 9 days, now y’all say that their digital is suspicious? bp are capable of charting no. 1 in 46 countries. So do y’all think YG bought that? However, it is problematic to believe that these comments from random people on the web in Korea can provide legitimacy to favorite artists or even a proper glimpse into Korean society. These sites that take content from online communities that are equivalent to threads on Reddit or comments on Yahoo. Although there might be some insightful posts, that is all these are: posts and comments.